How did you come up with the idea for Bound by Duty? Was there something in particular that inspired you? Bound by Duty was the result of a series of thoughts I believe every avid reader has when they finish a great book. In this case, I had just reread a great series – the Star-Crossed series, by Rachel Higginson – and I was asking myself, “What if this would have happened? What if she would have had these powers instead?” The questions, and answers, kept coming and suddenly, Amelia, Aidan and their story started weaving itself in my mind. The first chapter came to me, and it was all I could do to stay focused on the road until I got to my destination and could sit down at my computer. I wrote the first four chapters that night and have never looked back. I didn’t know I wanted to be an author until that day, and now I know I never want to be anything else. Bound by Duty is a bestseller on Amazon. Do you have any tips for other authors who want to do well on Amazon? The easiest part is writing the book and writing the book is hard. Marketing is really the hard part. Everyone has different goals and levels of success they want to achieve, so being a best seller may not be on your list. If it is, I would say that as a newbie it takes a sale and a coordinated plan of attack. The first time I hit number one in new adult fantasy I placed Bound by Duty on sale for 99 cents, I submitted it to a barrage of both paid and free newsletters and I scheduled a book blitz with a great publicity agency (Xpresso Tours). They had sixty bloggers blasting out about my sale in the same week and that combination meant I sold almost 1000 copies in seven days. You need to build the biggest buzz possible and use all your resources to sell enough books to get to number one. But, it is totally doable if you’ve got a great story, a great cover and the right people behind you. Do you have a favourite character to write? Or least favourite? Is there a reason why they are harder/easier to write? I have a few favorites. Bethany is one of my favorites to write because she is the sassy, Southern best friend to my main character Amelia. She is every one of my favorite friends from my life wrapped into one amazing girl. She snarky but honest, sweet but strong and just as willing to go to bat for you as she is to put you in your place. I write her and see the women who have shaped me throughout my life. That’s what I love about Bethany! My second favorite is Charlie. Charlie is a Great Dane. But, he’s special, and he and Amelia have a really unique relationship. He was hard to write at times, because I’ve never really had a big dog, but at the same time, I loved to write him because he was everything I would want if I had a magical pet. ;) Charlie has come to be one of the fans’ favorites, and I was thrilled to bring him into the second book, Bound by Spells. What is the best advice you’ve received about writing? Is there any other advice you’d give to aspiring authors? The two best pieces of advice I’ve been given were first, to write the book you want to read, and second, to write the book before you worry about anything else. It’s easy to get sucked into worrying about how you want to publish, how you’ll market, how it will sell, what people think and on and on. But, if you start out writing the book you would love to read, and then you just sit down and write the best book you can, then you’ll have something worth people’s time and the rest will come together. Also, I would add that you should ALWAYS pay an editor. ALWAYS. You will always be too close to your own manuscript and your friends are not typically the people you want to entrust your baby to. They are great people, but you need someone who isn’t afraid to slice and dice your work to make it better. The Bound series currently has two books that are available for purchase, with a third in the works. Bound by Duty is where the story begins. Amelia Bradbury is the last living Elder. She has power she can’t control, a betrothal she can’t stop, a prophecy dictating her fate and a heart lost to a human. The question is, will her head or her heart win the battle? Bound by Spells is the action-packed continuation of the story, picking up the moment Duty leaves off. You’ll hear from two points of view through the story and find out how our main characters are fairing after Amelia makes her choice. You’ll meet new friends and new enemies, while realizing that the truth isn’t always as clear as it seems. I’m excited to share that Bound by Spells was recently recommended by USA Today’s Happy Ever After blog as “paranormal gold” that was “even better than her [my] debut.” Link to full recommendation. Bound by Duty Synopsis: Amelia grew up in a world of half-truths. She knows she's an Elder, but has no idea what that means. Her father reminds her daily that she must maintain control, but he refuses to explain why. Even worse, she's betrothed to the prince of the Immortals and doesn't even know his name. 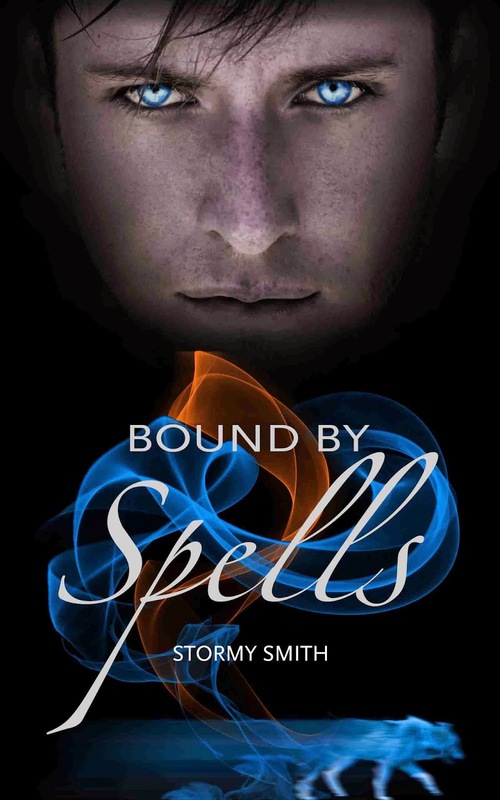 Bound by Spells Synopsis: Aidan Montgomery hadn't been prepared for Amelia Bradbury to walk in and then out of his life. He also hadn't expected to find the powerful magic hidden deep within him for the last nineteen years, but he's embracing it -- finding more control and more answers every day. Now, with the help of Amelia's best friend, Bethany, Aidan is on a quest to understand his destiny and find Amelia. Amelia decided to stand by her duty, which meant walking away from her first chance at love. Trapped in Cresthaven at the Queen's mercy, she spends her days with Micah -- an ally she still holds at arm's length -- struggling to manage her heartbreak while keeping her mind focused on the task at hand. As she continues to unlock the secrets of the Keeper power, Queen Julia's true motives reveal themselves, forcing Amelia to decide, yet again, how much she's willing to sacrifice. Endorsement for Bound by Spells: "Featuring a cast of mages and shapeshifters with unique magical abilities, one destiny-shaping prophecy, a genocidal megalomaniac, and a budding, heated romance (or two! ), this book is paranormal gold! Read the first book in the series first, of course, but once you finish this one you're sure to be salivating for the next release in this not-to-be-missed romantic paranormal series." About the Author: Stormy Smith is the author of the Amazon best seller, Bound by Duty, and Bound by Spells. She calls Iowa’s capital home now, but was raised in a tiny town in the Southeast corner of the state. She grew to love books honestly, having a mom that read voraciously and instilled that same love in her. She knew quickly stories of fantasy were her favorite, and even as an adult gravitates toward paranormal stories in any form.